A year ago, my sister gave me an awesome present. 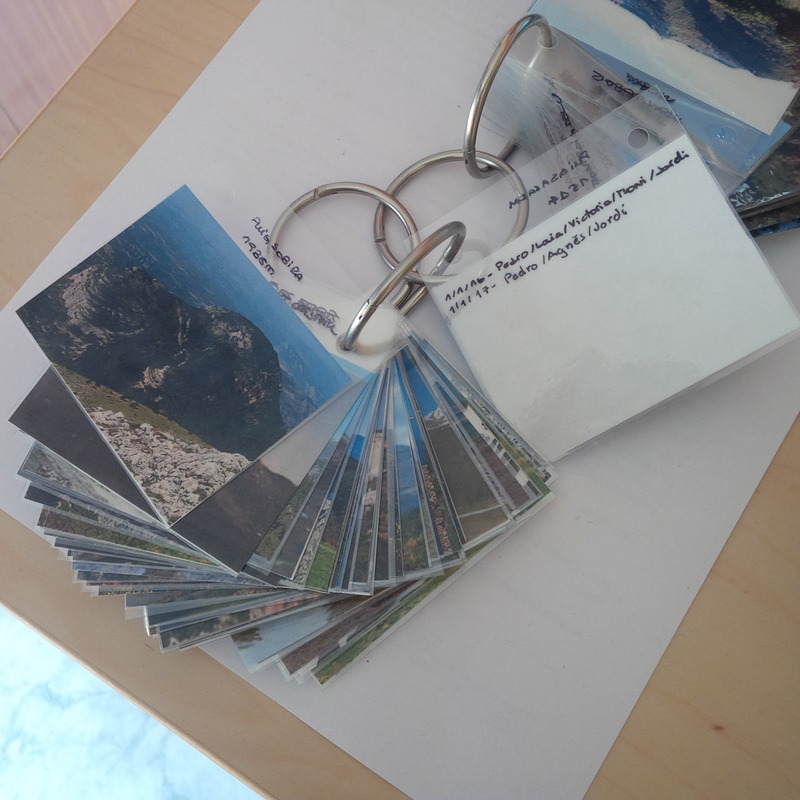 A big set of small card-sized photos with a set of the highest mountains of Catalunya. The idea is to write on the back when and with whom I “climbed” that mountain. Last Easter I was planning which closer hikes could I do during the holidays, so I can start filling each card (feels like gotta climb em’ all). It was difficult to know each mountain location from the cards, I fired Google Earth for Linux and started creating points. It was very easy with the famous ones, since Google Earth finds them directly (Pedraforca, Pica d’estats, etc..), but more obscure ones are a no-no. So I needed extra support to map them.